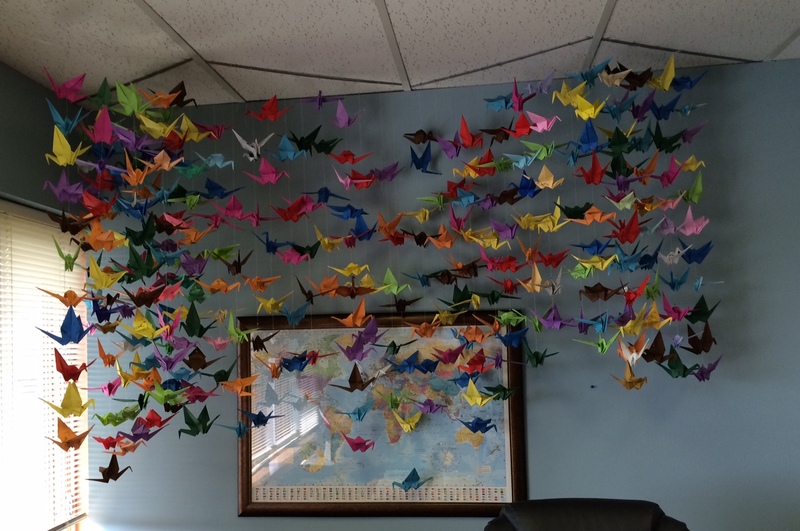 I have been praying for peace for a long time, and lately I have prayed through the folding and stringing and hanging of paper cranes, 323 at last count in my office. It is a beautiful sight when I come in every morning, and catches others by surprise as well. They are the colors of the rainbow, hanging on their strings, separated by glass beads and hugging my world map, a map that also reflects those same colors. And tonight I walked in my garden, which is showing many of those same colors. 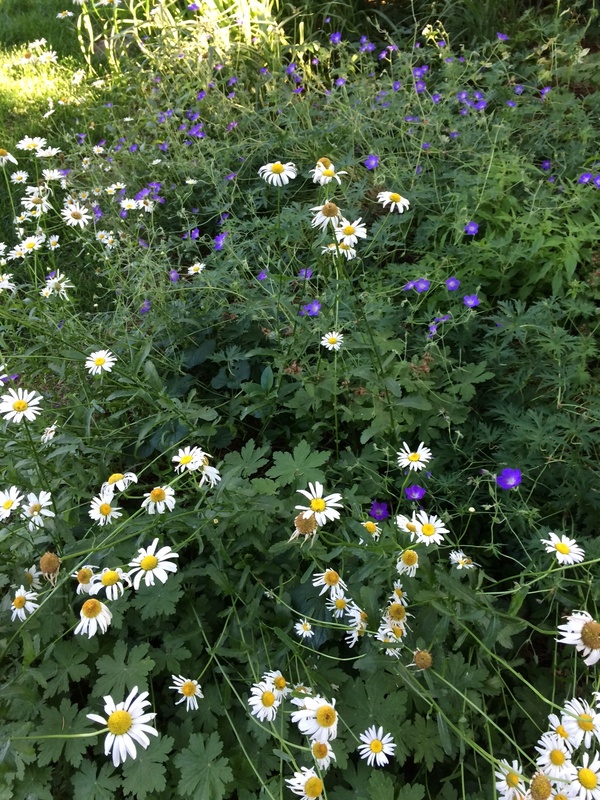 The oranges of day lilies, the blues and violets of cranesbill, white daisies with bright yellow centers. And so many greens! That God of ours had way more than 64 crayons in his box when he started this whole garden thing. May peace prevail on the earth. 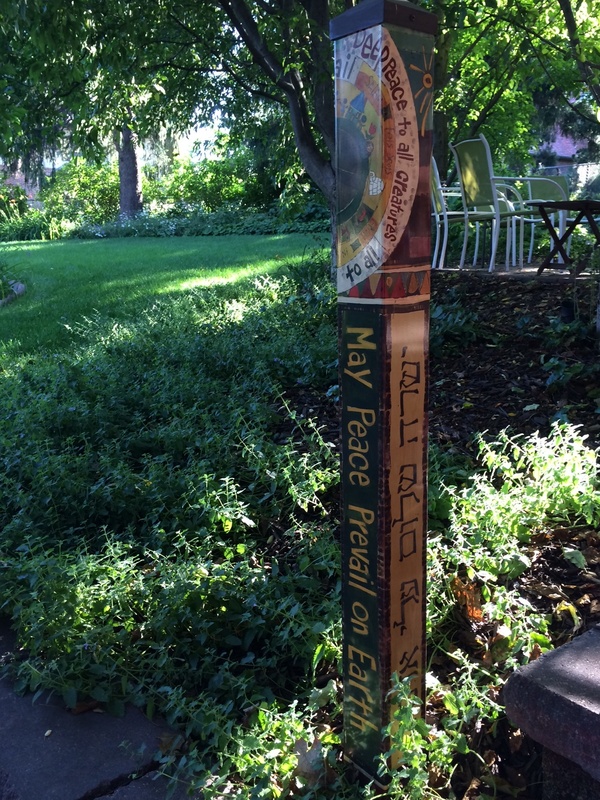 As I walk through this peaceful garden with prayers on my mind and on my heart and on my peace pole, I am also reminded that I am not in this alone. Just as the daisies are a gift from Susan and Lee next door and so many of the day lilies came from my cousin Kathy, the cranes in my office are a reflection of those praying with me like Cleo and Wendi and Deb and Kathy and Wilson from church; and all the faithful women like Babs and Marilyn and MC and Kate and Sue and Wendy and Betty and Emily; pastors whom I have met and those I haven’t, the Tobies and Michaels and Tripps and Chrisses; and all the people who read the papers and weep with me. 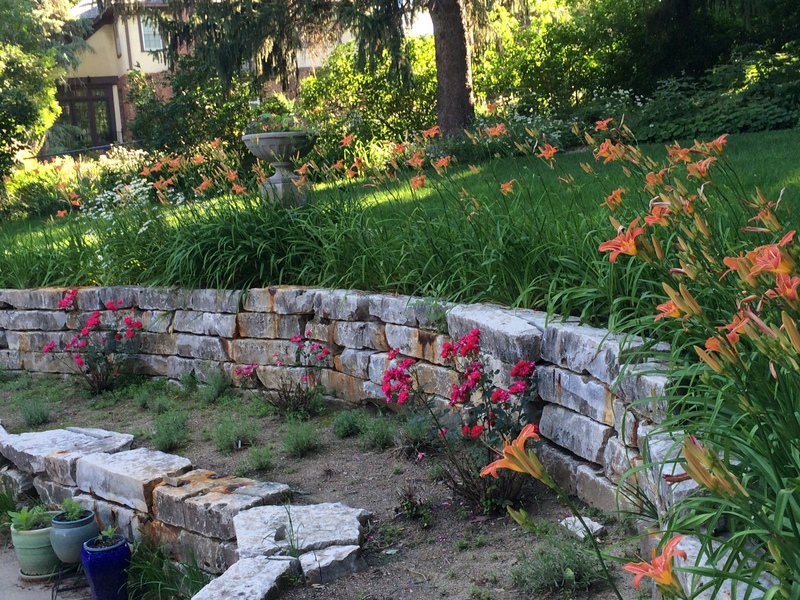 God made the garden for us as a place to walk with him in peace, and we blew it. And we continue to blow it. But even still, he makes the flowers grow and the cranes fly and invites us all to walk in places with him, inviting us into conversation. And my conversation with him most days – every day! – is for his peace to prevail. And I believe he hears us. And I believe he listens to us. And I believe he will answer and redeem and make it so. I believe his peace will prevail on this earth.